1961, at age 12, he entered his first competition driving a gas-powered ice boat on Sydney Harbour. 1966 he raced dirt track stock cars/trucks in the six-cylinder class. 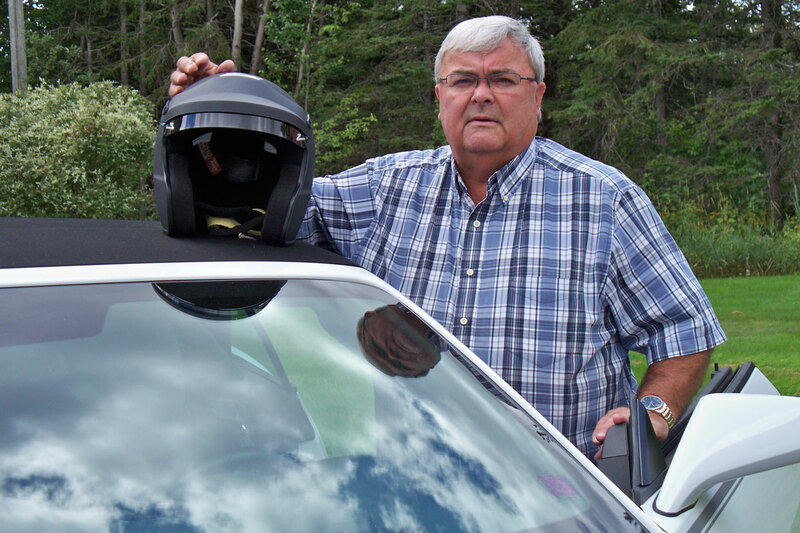 1968 – Moncton Motor Sport Club, Life Member, became an avid solo event and rally competitor. He was Newsletter Editor nine terms, Treasurer six terms, Secretary four terms and President three terms. In 1979 Toyota Canada/Acadia Motors provided him with a prepared Corona Rally Car for local and regional events. He won 11 of the 12 MMSC rallys. He organized the twelfth event and was crowned champion. East Coast Speed and Custom Club from 1983 to 1990 he was Show Chairman for four terms, Treasurer two terms, Secretary two terms and President for two terms. Greater Moncton Street Rods since 1990 was Secretary four terms, Treasurer three terms, Vice President four terms and President two terms. 1994 – Classics Car Club, Life Member, CEO for 20 terms. 1999 – Luxor Mini Kar Unit, Life Member, Secretary two terms, Treasurer four terms and President eight terms. Ford Country Club since 2008, Vice President two terms. Member of the “National Hot Rod Association” (NHRA) for 20+ years. Member of the “Canadian Automobile Sportscar Club for 30+ years. Member of the “Right Coast Car Show Association” for 15+ years. Member of the “Atlantic Nationals Automotive Extravaganza” organizing committee for 10 years. Hosted a weekly show, “Rust to Shine” on Rogers Cable TV for three years. President and CEO of “Mytfine Rods Inc.”, Moncton, NB, designers, and builders of custom cars and street rods since 1990. During his automotive career, he has restored 12 antique and muscle cars, built 29 street rods and customs, and has owned over 180 registered vehicles that included cars, trucks, and motorcycles. He is currently building a “Street Legal” Bonneville Lakester/Belly Tank Car powered by a Honda Goldwing engine to be raced for a land speed record attempt.